A perfect anniversary present for your sweetheart. 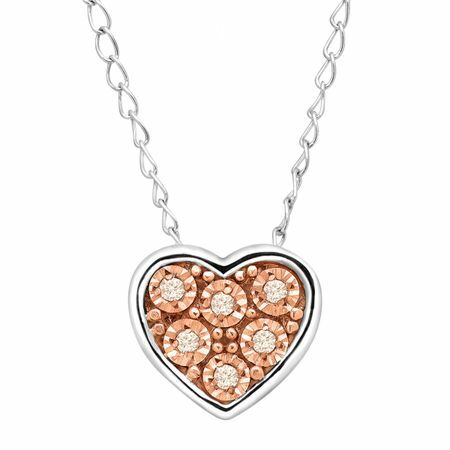 A filled sterling silver heart pendant features round-cut light champagne-colored diamond accents, bezel-set inside darker champagne-colored metal. Piece measures 1/4 by 5/16 inches. Comes with a sterling silver 17-inch cable chain with a spring ring clasp. Colored diamonds may have been treated or enhanced by heating or irradiation.